Home > Products > ChargeIt by Jay Gold Beaded Antique Charger Plate 14"
Set an elegant and sophisticated table with the ChargeIt by Jay Round Beaded Antique Gold Charger Plate 14". Beautifully accented with intricate ornate rim detailing, this charger plate beautifully frames plates, platters, and bowls allowing specialty dishes to take center stage. 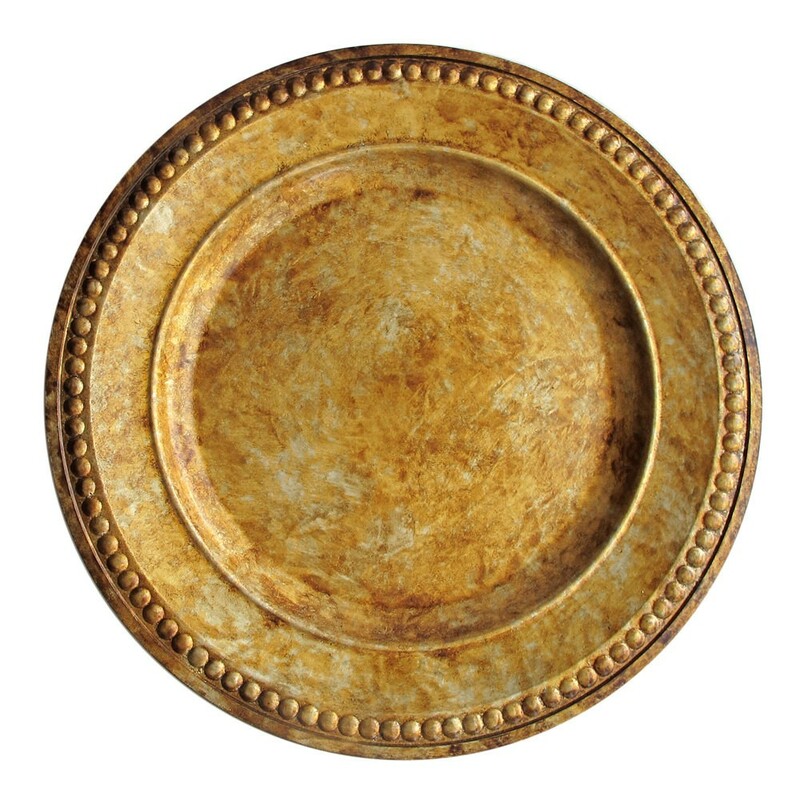 Thanks to its rustic gold hue, this charger plate adds an antique touch to wedding receptions and other types of upscale dining. Made from high quality polypropylene, this lightweight charger plate boasts unbeatable durability and product life.